Recently I heard a sermon that did some great work expounding the historical and theological context and meaning of an Old Testament passage, and then looked forward to how these themes are expressed in the context of the New Testament fulfilment. There was lots to like in both the content and the delivery—but the application jarred at points. As I tried to think through what was going wrong, I realized that clumsy sermon application, especially when applying things from the Old Testament to the New Testament, often is the result of an individualistic grid. Many sermon applications basically want to say something along the lines of: “This is what it must mean for every individual in the room right now”. That’s right in the sense that ethics in God’s world are ultimately objective and universal. Every individual in the room must, at all times, not murder. Every individual must repent and trust in God’s one and only son. And it’s also right in the sense that the gospel message speaks to each of us as individuals. While recognizing the communal nature of humanity, the Bible at the same time upholds human individuality, dignity and responsibility. It says that “the soul who sins shall die” (Ezek 18:20), that being born of God is not a result of the human family we were born into (John 1:13). We cannot preach the gospel in some generic, communal, ritualistic manner. Many sermon applications are not matters of absolutely constant moral duty or obligation (believe in Jesus, don’t murder). Many are about values, priorities: seek first the kingdom of God, do good to everyone but especially Christians. Many sermon applications have multiple expressions: marriage is to be honoured by everyone, everything done in church should build it up. And many have a range of possible degrees of application—be generous, pray, do good. But sermon applications get into trouble when the preacher identifies a particular application and lays it on the conscience of all their hearers in equal measure. This pays no attention to the range of individuals and contexts. 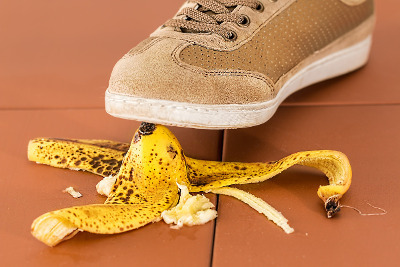 This clumsiness is often made worse when moving from the Old Testament to the New Testament. Passages which are primarily addressed to the leader of God’s people, or God’s people as a whole group, get applied with a timeless, universal and personal application to each individual. Israelites were to come up to Jerusalem for the great festivals, but not absolutely every single individual Israelite was morally bound to do so every year. The community of returned exiles as a whole were to stop tending to their own property and comfort in order to build the house of the Lord—but not every single Israelite was pledged to a particular amount of construction work each day. And this duty looked different in the unique period of the rebuilding of the physical temple than in the days of Malachi, in the more routine and ongoing duties of temple worship. Each individual Christian in a congregation is not somehow frozen in the timeless quirks of a particular moment in salvation history, shouldered with the burdens and responsibilities of the whole people of God. To apply the Scriptures as if they were is to burden their consciences where the Lord does not. What should we all be committed to, to value and pray for, even if how you express that commitment might vary? What will this look like for you in the coming week? How ought it look over a lifetime? Some of you are particularly responsible for this: what are you bound to do? In their book What Is the Mission of the church?, Kevin deYoung and Greg Gilbert write: “One of the most important jobs of a pastor is to help people feel guilty when they are guilty and help people feel at peace when they are not guilty”.1 Taking care to think through the application of the Old Testament to the New, and the application of general commands to specific individuals, will ensure that our ministry of correcting, rebuking and training in righteousness will rightly prick the conscience and calm the heart. This article was originally published on Christian Reflections and has been edited and republished with permission. 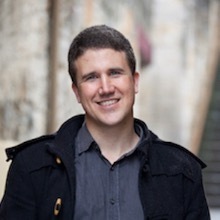 Mikey is the Campus Director of the University Fellowship of Christians at University of Tasmania, the chairman of The Vision 100 Network (Tasmania) and a founding director of Geneva Push. He is married to Nikki and is the father of Xavier, Esther and Toby. 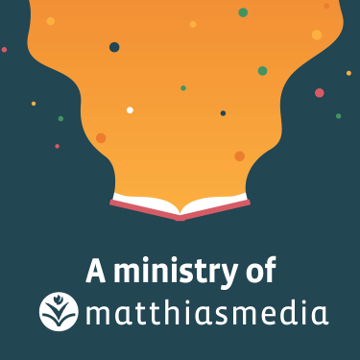 He is the author of new Matthias Media book, The Good Life in the Last Days.